Eight Martinis – Remote Viewing magazine is now in its 12 issue (Jan 2015). Available as a free download (pdf) or as a full color printed magazine (printed to order). 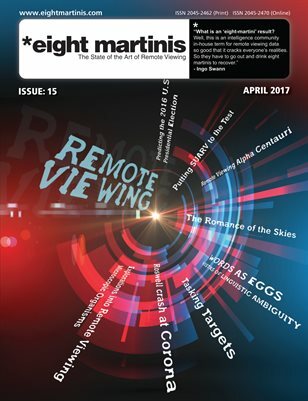 This issue is packed with great insights, Remote Viewing examples and articles on a large range of Remote Viewing and ESP topics. 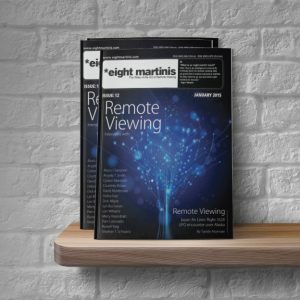 This issue concentrates on some of the key people wihtin Remote Viewing and is packed with 92 pages. click here for the free download and print version now!